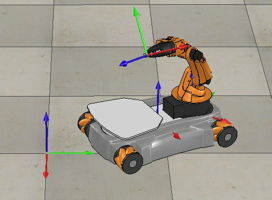 Modern Robotics is now available on Coursera! He is Editor-in-Chief of the IEEE International Conference on Robotics and Automation Conference Editorial Board, incoming Editor-in-Chief of the IEEE Transactions on Robotics, and a former Senior Editor of the IEEE Transactions on Robotics, the IEEE Robotics and Automation Letters, and the IEEE Transactions on Automation Science and Engineering. 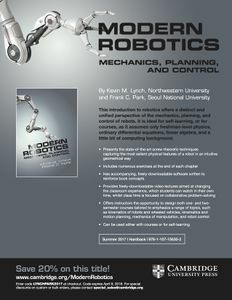 He is a co-author of The Principles of Robot Motion (MIT Press, 2005) and Embedded Computing and Mechatronics with the PIC32 Microcontroller (Elsevier, 2015), an IEEE fellow, and the recipient of the IEEE Early Career Award in Robotics and Automation, Northwestern's Professorship of Teaching Excellence, and the Northwestern Teacher of the Year award in engineering. He earned a BSE in Electrical Engineering from Princeton University and a PhD in Robotics from Carnegie Mellon University. Frank C. Park received his BS in electrical engineering from MIT and his PhD in applied mathematics from Harvard University. From 1991 to 1995 he was assistant professor of mechanical and aerospace engineering at the University of California, Irvine. Since 1995 he has been professor of mechanical and aerospace engineering at Seoul National University, where he is currently chair of the department. His research interests are in robot mechanics, planning and control, vision and image processing, and related areas of applied mathematics. He has been an IEEE Robotics and Automation Society Distinguished Lecturer, and received best paper awards for his work on visual tracking and parallel robot design. 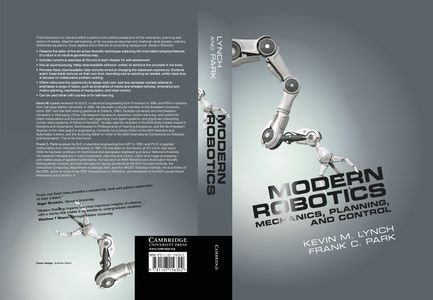 He has served on the editorial boards of the Springer Handbook of Robotics, Springer Advanced Tracts in Robotics (STAR), Robotica, and the ASME Journal of Mechanisms and Robotics. He has held adjunct faculty positions at the NYU Courant Institute and the Interactive Computing Department at Georgia Tech. He is a fellow of the IEEE, current editor-in-chief of the IEEE Transactions on Robotics, and developer of the edX course Robot Mechanics and Control I, II.